BHN Catering Services is provider of high-quality catering services on the offshore segment. 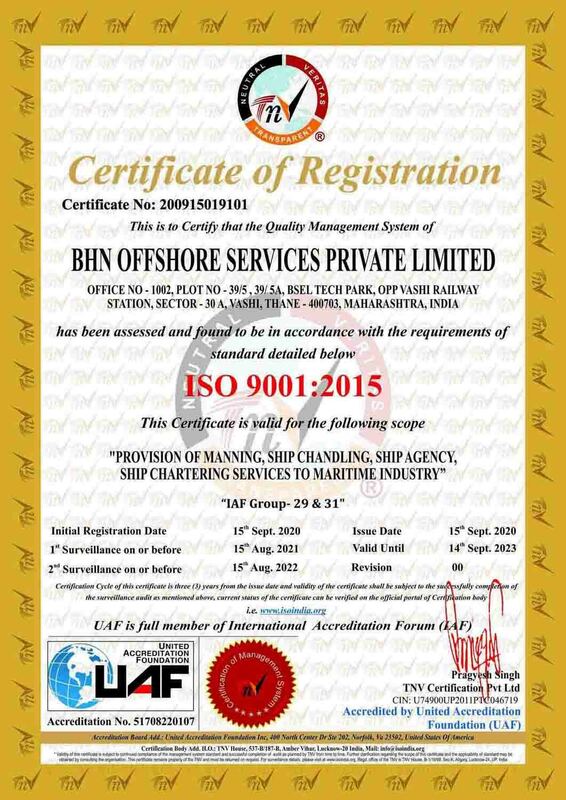 We are registered with Mumbai Port Trust. Addressing the daily and long term demands of the Shipping Industry, including Catering - Housekeeping – Laundry-Janitorial Services- Medical Services - Provision of Crockery - Cutlery - Pots & Pans - Utensils and Linen - Recreation - Video Tapes - Magazines - Newspapers - Periodicals-Pest control. • Specialised & trained manpower with Off-Shore background. • Quality of service, safety and hygiene that adheres to international standards.